Marc Balbirnie is a mixed-media composer, conductor, sound engineer and computer music tutor with a passion for composition for video games, TV and film. He graduated from NUI Maynooth in 2007 with an honours Bachelor of Music degree, and in 2011 he completed an M Phil in Music & Media Technology at Trinity College Dublin. In 2005, he founded and presided over the NUI Maynooth Composers’ Society. He has also been heavily involved in many youth and community arts based projects since 2006, which has greatly influenced his composition and writing. 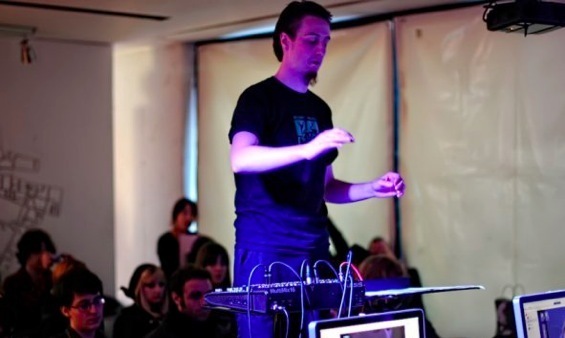 He founded the Lucan Electro-acoustic Youth Orchestra in 2008, which evolved into the Headspace Mixed Media Collective under his direction in 2011. He also conducted the Regina Caeli Chamber Choir in 2007 and the Maynooth Electric Guitar Array in 2007/08. His compositions span many genres including solo instrument, ensemble, electro-acoustic and mixed media. Marc specialises in multichannel audio technologies and his thesis project experimented with 3-dimensional sound diffusion using a spherical speaker array. He is a member of the Irish Composers Collective (ICC), Games Music Ireland (GMI), IASCA and IMRO. His compositions have been performed at Christ Church Cathedral, St. Patrick’s College Chapel, Royal Irish Academy of Music, National Concert Hall of Ireland and Sinagoga din Cetate in Timișoara, Romania – amongst other venues.